Other than her appearance and her glare that could cut stone, we haven’t heard much news about Wonder Woman or her role in Batman V. Superman: Overstuffed and Overwrought. However, in a clip posted to Vine, we now at least know her origin story. According to the film’s producer Charles Roven, the Amazon warrior princess will be a demigod, her father the Greek god Zeus. 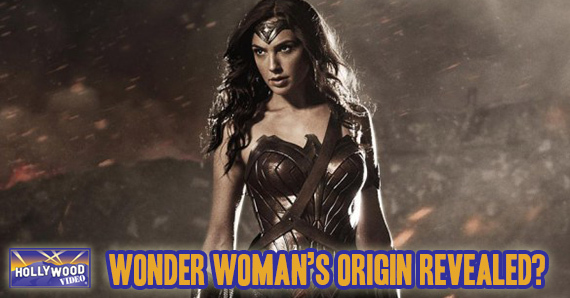 This origin is pulled straight from DC Comics’ New 52 comic book line, which revamped the super-heroine’s previous origin story. In that story, the Amazons are creations of the gods, imbued with the souls of women murdered by men. The only soul not used was that of the unborn daughter of the first woman slain. That daughter was Diana, who would become Wonder Woman. Her mother, Hippolyta, Queen of the Amazons, molded a baby out of clay, which the gods then brought to life and granted superhuman abilities. In the New 52 origin of the character, the clay tale is just the rumor of what transpired to give Diana life. I really don’t have an issue with the use of one origin story over the other. Both harken back to Wonder Woman’s Greek roots and both give a nod to how she gained her superhuman abilities. Now, if they incorporate her invisible jet into the mix in a sensible (well, sensible for comic books) way, then I’ll be impressed. Batman V. Superman: Dawn of Justice, starring Henry Cavill, Ben Affleck, and Gal Gadot, hits theaters March 25, 2016. Jed Harris-Keith is a pop culture junkie, but insists he can stop whenever he wants. He currently resides in Camarillo, California, with his wife and their two bassets, Otto and Igor. This entry was posted in The HV Blog and tagged Batman v. Superman, Ben Affleck, DC, Gal Gadot, henry cavill, Wonder Woman by jedkeith. Bookmark the permalink.